A clear night over Nova Scotia triggered my imaging run. The Burke-Gaffney Observatory robotic telescope completed three captures. First up, the Turtle, or NGC 6210, a planetary nebula in Hercules. One of the RASC Finest NGCs. These things are bright! Good round stars in this image. Wow. There are a bunch of faint fuzzies in this image... Katrina, using Starry Night and her tablet tried to help me tag them. 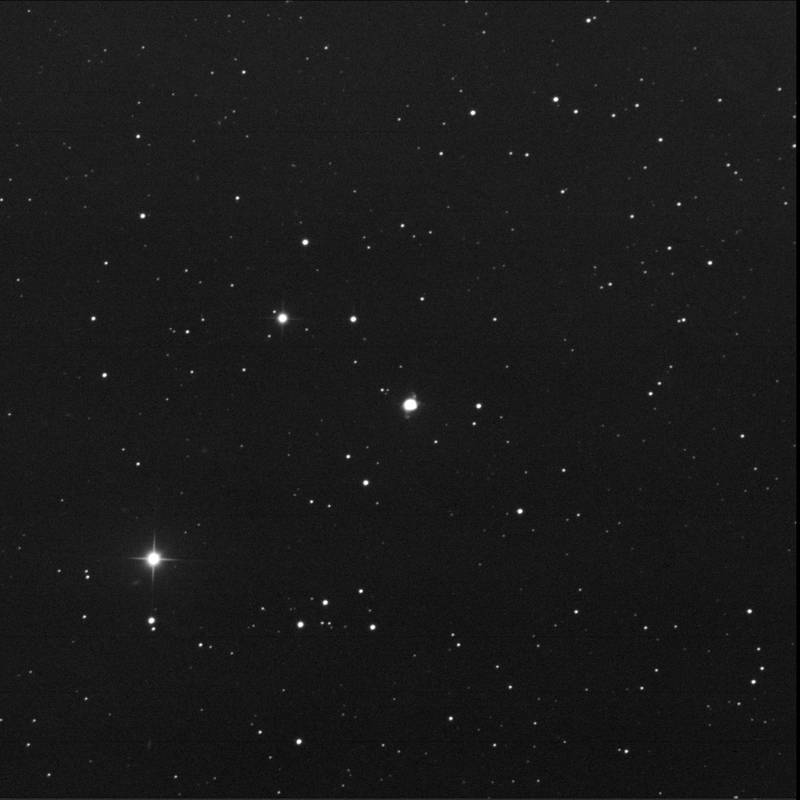 Near the top-left corner (that's north-east) are two LEDA/PGC galaxies, both identified by SkyTools. The northern one is, a small oval, LEDA 1696456 and the southern LEDA 1695920. It looks a bit deformed. Left of the planetary nebula is an extremely faint face-on object. None of our apps labelled this. I had to use Aladin with the NEDS layer. SDSS J164456.12+234621.6. 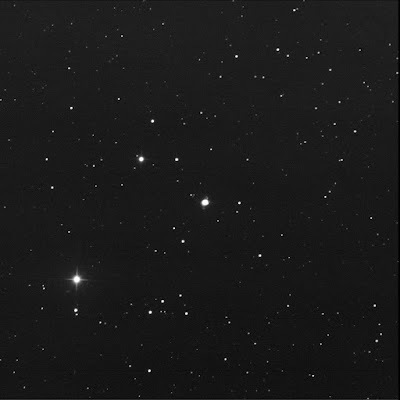 Near the bottom-left, close to the edge of the frame, is LEDA 1690678, a long thin oval. Beside the bright star at the bottom left but still close to it is a canted galaxy. It is GALEX J164504.3+234221. Finally, bottom, right at the edge, centre of the frame, another canted galaxy: GALEX J164420.2+233641. Found the Turtle in my View Again list in SkyTools. I removed it. Imaged again, 1/3rd the exposure time.